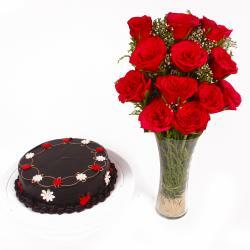 The beautiful red roses bouquet is a perfect gift for any occasion to win the heart of your loved ones. 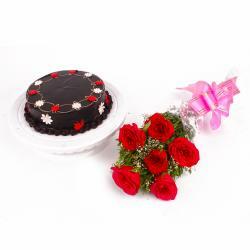 It is suitable for Birthday, Anniversary, Best of Luck, Durga Puja, Womens Day. Gift them one and tell them how much you care for them and love them also with this Yummy chocolate cake is ready to have this and share the beautiful moments with each other. This joyful thrilling gift deliver to your loved ones is surely going to love it. And while they are celebrating their big day and sharing the sweetness of this beautiful flowers and cake together, they will be really overjoyed that you made every moment of their time together sweeter with this unique flower hamper. You can also send this gift hamper along with other Gifts to India through Giftacrossindia.com. 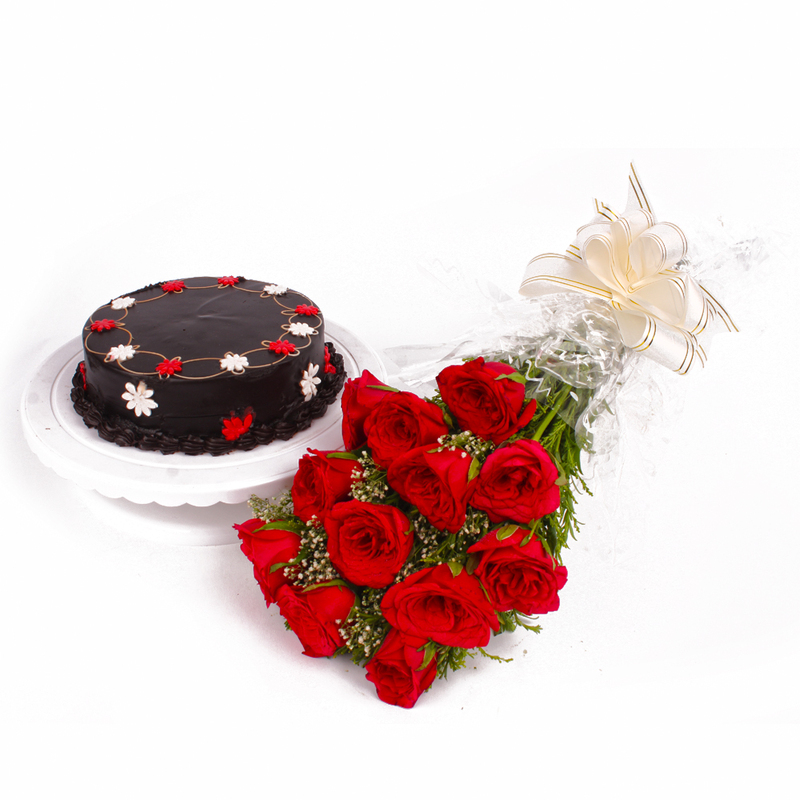 This gift hamper contains : Bouquet of Dozen Red Roses along with Half kg Chocolate Cake.